Throw pillows are an easy way to change the mood of a room or update the look of a couch or chair. This no-sew version is quick to make, inexpensive, and as soft and cuddly as you could ever hope for. 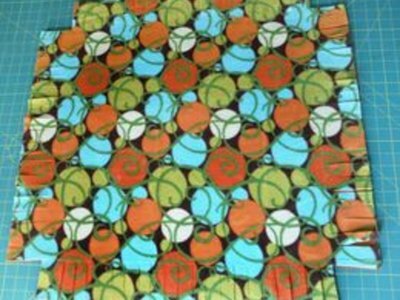 Fleece fabrics come in a rainbow of colors and patterns, including sports themes for dedicated fans. Please see the last slide for an itemized list of tools and materials. 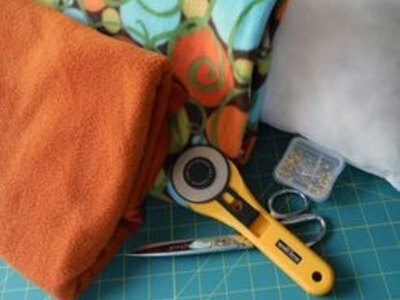 Fold each piece of fleece in half and square the fabric by laying the selvage edge along a straight line on the cutting mat. 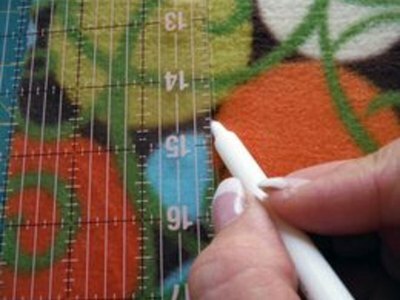 Lay the straight edge ruler across the fabric in line with the rule marks on the mat, and cut a straight line through both thickness of the fleece. Trim off the selvages. 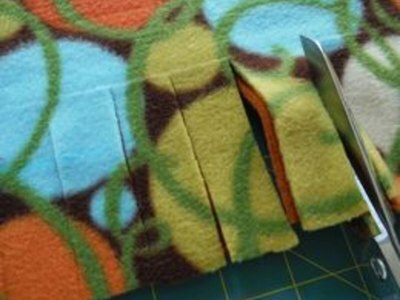 Cut a piece 27 inches by 27 inches from each piece of fleece and stack them on top of each other. Measure 3 inches from each edge all around the square of fabric with the straight edge ruler and mark with the disappearing ink marking pen. Align the fabric square to the rule lines on the cutting mat. 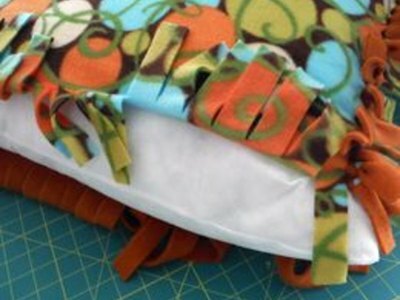 Cut through both thicknesses of fleece with scissors at each one-inch mark, stopping at the 3-inch line you drew in step 2. Remove a 3-inch square at each corner. Smooth out any wrinkles that have developed and check that the layers are still matched and square. Tie a knot from each pair of strips at each inch by wrapping the bottom strip up to the top strip and tie. Tie a second knot and pull the knot toward the top leaving the bottom fabric on top of the knot. Keep even tension on each knot as you continue tying knots on three sides. 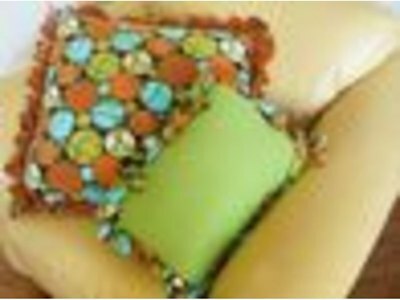 Pull the fabric pocket up and over the pillow form, stuffing it in as far as possible. Finish by tying knots on this side as well, pushing the pillow down. 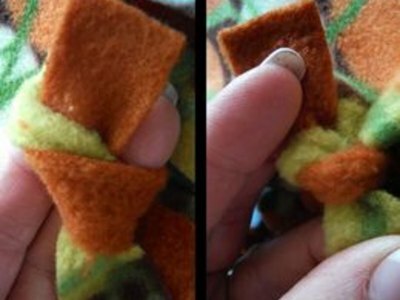 Do not pull the strips too tight and stretch the fleece out of shape as you close the opening. You can buy disappearing pens in white for dark fabrics, and dark colors for light fabrics.